Discussion in 'News' started by 3PHASE, Dec 8, 2015. 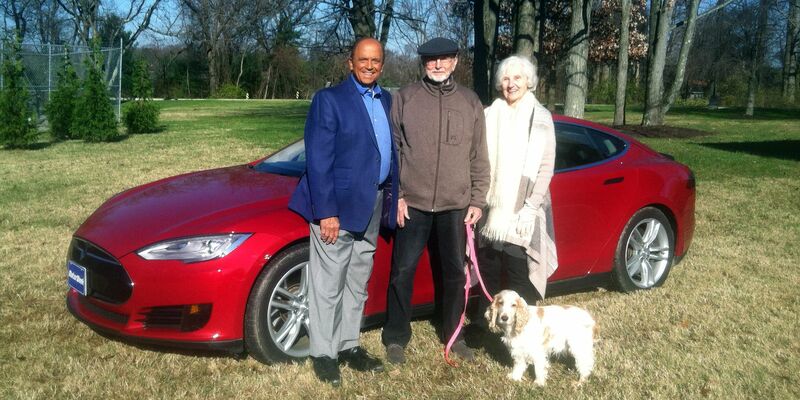 Ed and Carolyn Jordan (Gaithersburg MD), owners of a 2013 Red Tesla Model S P85, drove up to Owings Mills, MD on Friday December 4th to support the Tesla community by letting the producers of MotorWeek use their car in the introductory scene for the 2016 Model S P90D Road Test. 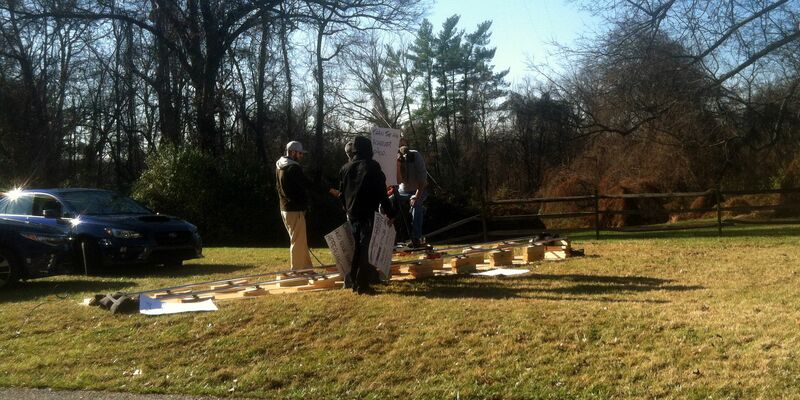 The segment will debut January 8th (Episode 3518). Ed and Carolyn were also treated to a tour of Maryland Public Television's facility, a behind the scenes view of the production, and a chance to meet the host John Davis. MotorWeek is available on PBS and Velocity on cable/satellite. So glad someone was available to help out with that. Thx to Ed and Carolyn , I'm looking fwd to 1/8/16 broadcast. Ludicrous? We will get another "official" quarter mile time anyway. The First Look video does have the under bar. "Yes it did have the ludicrous speed upgrade and I can say it's aptly named. Keeping the wheel straight is best when testing it out haha. The torque will yank the wheel right out of your hand." I had a ride at the Tysons' Corner service center on Sunday, and it was quite amazing, scary, and impressive. Then, today, I discovered you can rent a Model S from another owner. I have not experienced this. Should be interesting to see if they actually say something about this during the segment. Where did that quote come from? I don't understand it. I have test driven a P90D and floored it. The steering wheel didn't budge. Let's wait for the show. It was a producer. He could have been joking. Certainly you wouldn't go ludicrous through the cones. Let's wait for the show. Sounds more like he just made s*** up for theatrical effect. Probably never even drove the car. Maybe he meant that the instantaneous motor torque from a standing start pushed him back into the seat so much that he had to concentrate on holding on to the steering wheel. A case of exaggerating for theatrical effect. Keying off the sentence "Keeping the wheel straight is best when testing it out", my guess is that the quote was about the torque steering effect if you try to punch it while turning. 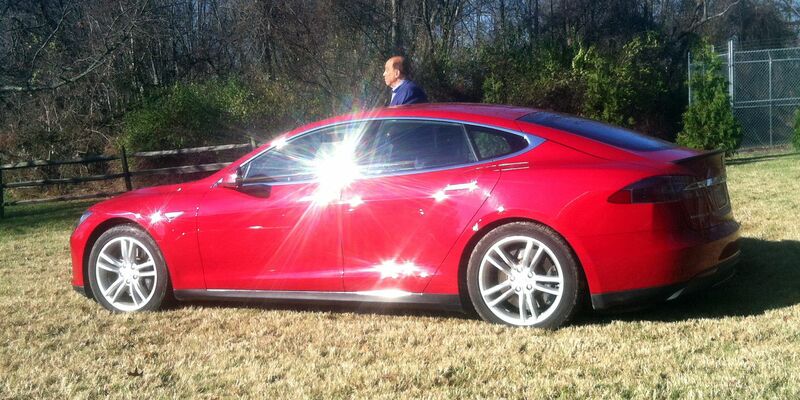 I have experienced torque steer in front-wheel-drive vehicles like the GM EV1, but I have not tried it in the Model S.